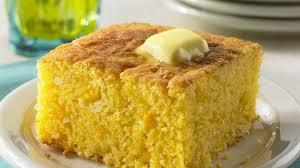 Pan de Maiz de Carnaval - Carnival Corn Bread - Tienditadepuertorico.com - Buy Puertorican Food Here!! into a bowl. Cut in the butter until the mixture forms little balls the size of peas. 2 In a separate bowl, beat the egg until frothy. Add the yogurt, carrots, and corn. until a toothpick inserted in the center comes out dry. Cool in a pan.